November « 2010 « Geekorner-Geekulture. 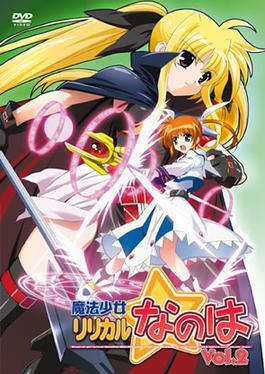 I’ve recently watched Magical Lyrical Girl Nanoha. Ok, it’s been more than a while, and I’ve then watched A’s, but still have the last three episodes to watch… I’ve been occupied lately, and the show is not entirely engrossing. The show is somewhat anachronistic; the art style is more reminiscent of early 90s anime. Alternately, it kinda looks like Digimon in a way, it feels like something rushed out to make money, or shoved into its slot to fill it after something else got cancelled. The models, that is, the characters are not very well drawn, but are cute. I nearly had an aneurysm in the beginning when each character has like a mad mad hair at the front, with a bunch sticking out, and it’s “Aligned” to the side, and the moment they shift their head slightly the hair really jumps a bunch to the other side. The graphics of backgrounds, the city-scape, it’s very blocky, the number of different characters in most scenes is exceedingly small (1-2 in a lot, 4 is like “Whoa!“). The characters are often static and talk to themselves, or we have Nanoha’s waking up sequence, which while cute repeats itself. It really feels like on the production front, this show is exceedingly flat, and didn’t have a lot poured into it. Not to mention, some of the seiyuu, like Arf‘s seiyuu, Natsuko Kuwatani, just sounds so annoying. “Fate-o Chan!” Blergh. Anime Season Midterms – First Impressions. 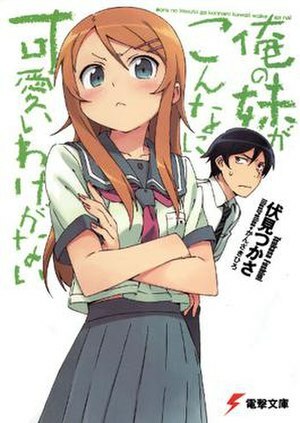 Ore no Imōto ga Konna ni Kawaii Wake ga Nai – for short, Ore no Imoto, or even shorter, Oreimo. In English: My Little Sister Can’t be This Cute. This show is like Genshiken (blog post) in a way. A show about otaku, exploring them. It is more comical though. Episodes 5-6 were a bit weird, but the show had definitely taken on slightly less hijinks and crazy anime lovers attitude, and a somewhat more “Slice of Life” stance. I have high hopes for it to keep going strong. I love it thus far. Good show, enjoyable cast, cute characters, some good laughs (albeit some weird moments like when Kyosuke fought their father..). But overall? WATCH IT. Right now. Wow, it’s been 4 months since my last entry. I’ve really been remiss in my updates of this blog. I guess you could say it’s taken an end of summer and autumn hibernation. It’s not that I didn’t have what to say… I had a lot to say. But once you stop updating, it’s sort of what I experience with certain fora (plural of forum) or topics; they remember where is the first unread post, so if you see they have 15 unread posts, you wait till you have time to read them all. And then it’s 150 unread posts and you know you’ll never get to it. Zombie Jesus lives too! Well… sort of? Anyway, there are two ways to get back to posting: Go with “I’ll post whenever I feel like it”, so you’d make a post without feeling an obligation to keep on posting, which I dislike (and also, once I resume posting, it’s not an obligation as much as a snowball; can’t stop!). The other method is to bite the bullet. Stop procrastinating, and just resume blogging. Delve head-first. There’ll be a blog post coming once a week, gauranteed. Even if the skies fall or Cthulhu and the lost city of R’lyeh resurface. I will try, and I think in most weeks will succeed, to get two posts up. I’ll be aiming for Sunday-Tuesday for one and Thursday-Saturday for the other. Some weeks may have three posts, but I’m not promising. I’m too wise for that.